Shoot! 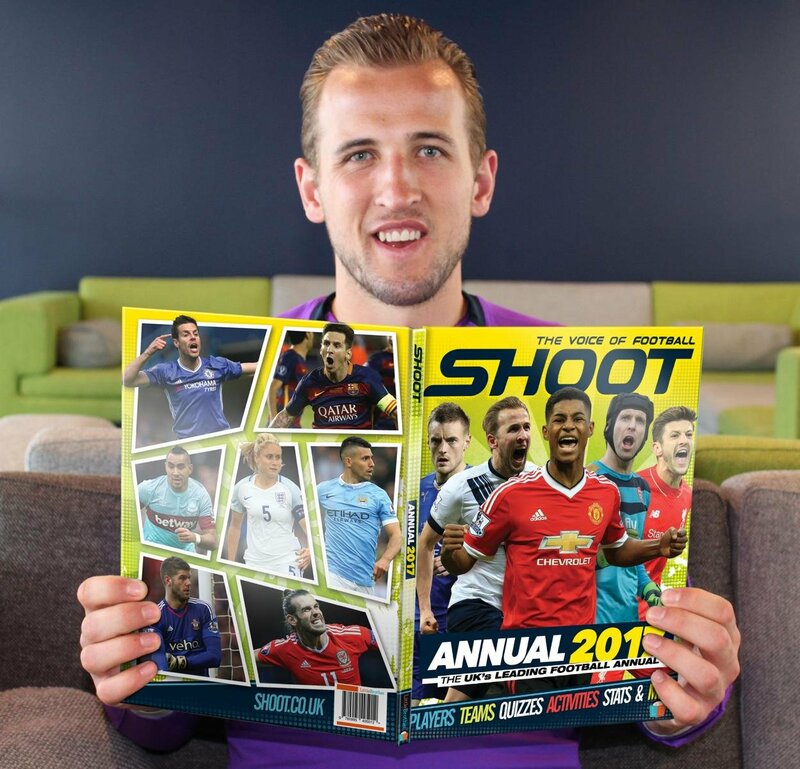 are offering you the chance to win a copy of our brand new SHOOT Annual 2017 this Christmas! Just simply enter our free competition via the widget below to be in contention. Packed with fun for all the family; including exclusive interviews with singer-songwriter Olly Murs, England internationals Harry Kane and Steph Houghton, features on defending Premier League champions Leicester City, Manchester United starlet Marcus Rashford and legend Cristiano Ronaldo, plus activities, posters and profiles to keep you and your family entertained for hours over the festive period. So with matchday 18 set to kick-off from Boxing Day (December 26), with Watford entertaining Crystal Palace at Vicarage Road (12:30), whilst league leaders Chelsea host AFC Bournemouth at Stamford Bridge (15:00), what better way to toast the Christmas top-flight action than by entering our free giveaway.